1. Get your story straight — dig deep : Really deep. Why do you want to work in clean energy? How does this career switch impact your life? Does it tie in with your bigger “mission”? Do you even have a mission? These might seem like super heavy philosophical questions — but the truth is that you need to know your own story inside out before you have that first coffee chat or informational interview. The goal is to eventually get others to believe in you — and then vouch for you. So step one is to believe in yourself and craft a great narrative that ties your past experiences, current interests and future goals together neatly. Much easier said than done — but this HBR article lays out a good framework for where to start. 2. 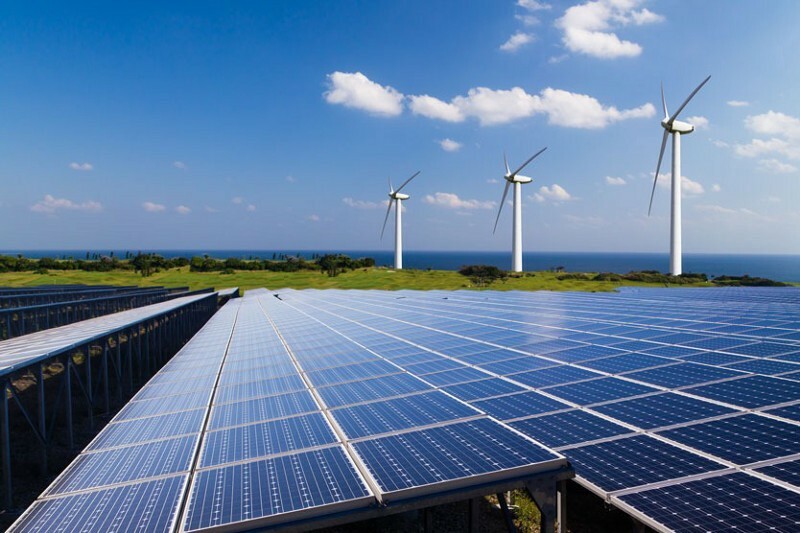 Get up to speed with industry trends : Clean energy is definitely a field that keeps you on your toes — with so many contentious policy issues being debated daily , you simply can’t afford to not stay on top of what’s going on globally. If you aren’t already entrenched — don’t worry — it’s never too late to start! I pretty much kick off every morning with a quick glance over Greentech Media (or GTM) — which is a great resource for literally all things clean energy. What I like most about GTM is that their articles are always concise and well-written. Utility Dive is another great resource but with more of a utility/in-front-of-the meter focus. Bloomberg New Energy Finance or BNEF comes out a great bi-annual/quarterly report on global trends and financials in the industry. In addition to the websites, The Energy Gang (also produced by GTM) is one of my favorite podcasts — Jigar Shah, Katherine Hamilton and Stephen Lacey are each experts in their own domain and they bring a great mix of policy, finance and controversial opinions into play. The end result? A podcast that is both educational and entertaining. Win! 3. Aggressively Network — but not mindlessly! : I know you’re most probably rolling your eyes because you already know this. Networking is tiring, time-consuming and doesn’t always yield the results that you expect — but it doesn’t have to be. Once you are up to speed on industry news and trends, you’ll automatically have a sense of what different companies do, so you can shortlist which seem the most interesting to you. When you’ve done your research, find relevant employees at each organization and reach out to them, one at a time. This bit is hard to do — but try to find a more appealing ask than simply saying “I’d like to learn more about your organization”. For instance, if you read something about their company in the news or if there is a trend that is taking off in another country that could be relevant to them — mention it! Try to work in something that could potentially be of interest to them into your message to show that you’re really making an effort. Again, this is much easier said than done and you won’t always be able to use this approach — but do whenever you can. Try to set up as many informational interviews/calls/coffee chats as possible — after all, the best way to learn about an organization is through its employees! 4. Get familiar with the jargon : I’m personally convinced that energy is one of the most jargon-y industries out there. Apart from just the technical terms (ensure that you know the difference between a kW and a kWh before you do absolutely anything else!) there are also several programs, incentives and policies that have unique names and abbreviations. While you don’t need to make flashcards just yet, the more you read the resources listed above , the more familiar you will get with the jargon. This is extremely helpful during coffee chats and conversations , as you can make the most of a valuable 15–30 minute conversation with industry insiders by showing them you are already clued in. 5. Go to as many energy events as you can : Depending on where you live, there are several organizations and chapters such as “Young Professionals in Energy” (YPE) and even groups on MeetUp (such as CleanWeb SF here in the Bay Area) that have really cool speaker events and happy hours almost monthly. Find a chapter close to you and sign up for their newsletter. This ties into #3 — the only way to network is to go to places you can meet people to network with! There are also several clean energy conferences (GTM alone annually hosts at least 6 different conferences on different topics in various cities), but these are often expensive — and while they are well worth it, not everyone can afford a $1,000 ticket. A good workaround is to volunteer — if you e-mail the organizers well in advance, they almost always have open spots. I can’t stress enough how valuable going to these conferences can be — you not only discover the length and breadth of the industry, but you also meet high level executives that would be much harder to get a hold of otherwise. I met my current boss at such a conference and the rest is history! 6. Enroll in courses — either in person or online. If you’re based in either DC or San Francisco, Clean Energy Leadership Institute (CELI) offers a fantastic 14 week training fellowship in all things clean energy. They bring in industry professionals for hourly seminars on various topics and you get to meet a ton of great people who have the same interests as you. Oh, and they also just opened applications for their Spring Semester Fellowship! If you don’t live in these 2 cities — fear not. There are a ton of online courses on sites like Coursera and Schneider Electric’s Energy University — depending on your exact interest. Don’t forget to check out colleges in your vicinity — clean energy classes are becoming more popular than you think and some might even have executive programs over the weekend. While enrolling in a program like this is not necessary, it’s a great way to signal your interest and knowledge in the field — and the fact that it can be backed up by a credential makes it more valuable. Good luck! If you have any questions, comments, additional suggestions or corrections — please do let me know. I’m always learning myself and I’m sure everyone reading could benefit from your input, so don’t hesitate to comment to reach out!